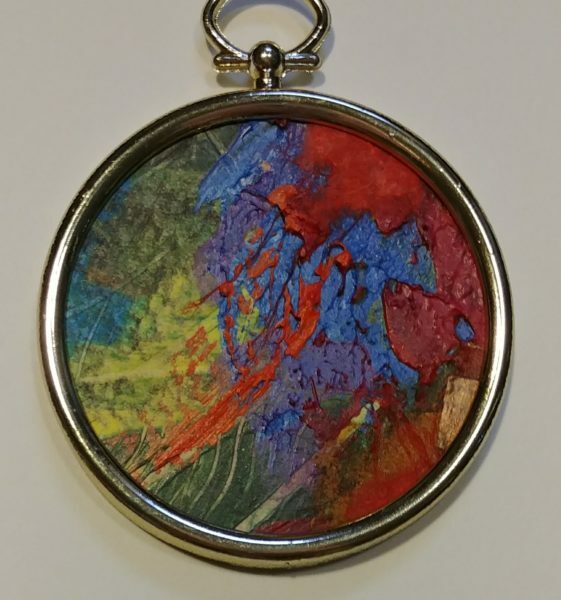 This entry was posted in $ale, abstract, collage, gluttonous self-gratification, mixed media, paintings, solo exhibitions and tagged $40, 2.5" diameter, blue, circle, copper, orange, paint, purple, red, texture, yellow. Bookmark the permalink. Both comments and trackbacks are currently closed.